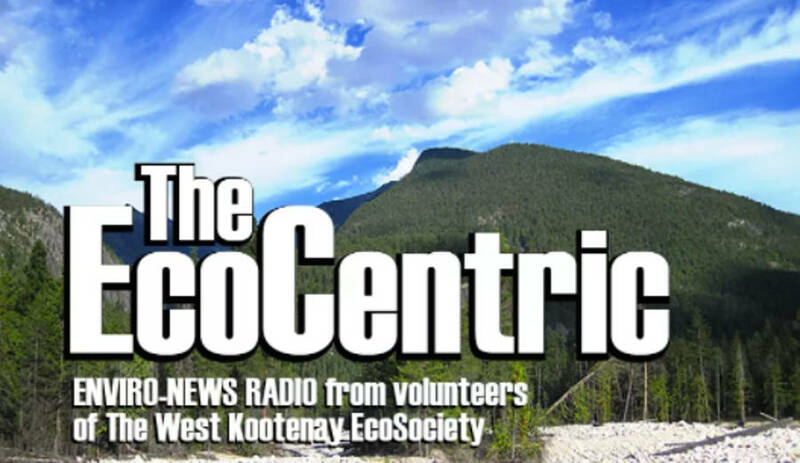 The Environment News on The EcoCentric each week is a digest of some of the top environmental stories in the Kootenay, BC and internationally. At the same time Tiny House Warriors completed their first tiny home build directly in the path of the pipeline, in the heart of Secwepemc Territory. Kanahus Manuel, daughter of Art Manuel, is leading the project and they have started their second tiny house build. On September 15th, Kinder Morgan the pipeline company filed a construction plan with the Port of Vancouver and there’s a good chance they will be starting to work on Westridge Terminal in Burnaby soon. The First Nations court challenge of the National Energy Board’s approval of Kinder Morgan in the Federal Court of Appeals begins Monday, October 2 in Vancouver. Barry Saxifrage is a researcher who regularly creates infographics on climate change topics. His newest ones show that even as renewable energy is growing, it’s dwarfed by ongoing increases in fossil fuel use. He points out that fossil fuels continue to supply at least 85 percent of global energy use and Oil and gas are still expanding more than other energy sources. The seven years from 2009 to 2016 have also been the all-time biggest years ever for renewable energy. But all the expansion of renewables wasn’t enough to cover even the single-year demand surge of 2010. In fact the increase in fossil fuel use was twice the increase in renewables in that time. The situation looks even worse if you don’t like the idea of relying on expanding hydropower dams. That’s because hydropower expanded more than any other renewable over those years. First Nations video shows ‘thousands’ of wild fish in B.C. salmon farm. The Sea Shepherd Conservation Society posted footage shot by Hereditary Chief George Quocksister Jr. of the Laichwiltach Nation at a fish farm owned by Marine Harvest. In the video, a farm worker can be heard saying the pen is empty, while the footage shows large numbers of fish swirling just beneath the surface of the water. Underwater footage appears to show several species of fish that may have entered the pen through the netting. Quocksister visited several farms in August to shoot video and check for disease at farms throughout the Broughton Archipelago. He believes Marine Harvest maybe using the fish as natural feed for farmed fish. A Marine Harvest spokesperson denied the company intentionally attracts small fish to farm sites. The Washington state-based Center for Whale Research says the two-and-a-half-year-old whale appeared lethargic and was barely surfacing when he was spotted three weeks ago. Photos showed signs he was malnourished. The scientists say there were 78 southern resident killer whales as of last December, and the centre has warned that noise, toxic contamination, and a lack of food threaten their long-term survival. After slightly slowing for the past 15 years, global warming is once again rising more quickly due to a decade-long weather pattern that warms and cools the Pacific, Britain’s meteorological office said Monday. The Office said the rate of global warming slowed between 1999 and 2014, but has now picked up due to a “flip” in the Pacific weather pattern. “The end of the recent slowdown in global warming is due to a flip in Pacific sea-surface temperatures,” said Adam Scaife, head of climate predictions at the Met Office. World temperatures hit a record high for the third year in a row in 2016, scientists said in January. After a period during the early 2000s when the rise in global mean temperature slowed, the values in 2015 and 2016 broke records and passed 1 degree Celsius above pre-industrial levels. The Living Planet Report Canada released Thursday by World Wildlife Fund Canada shows that 87 species vulnerable enough to be given protection under Canada’s Species at Risk Act (SARA), such as woodland caribou, southern resident killer whales, and Canada warblers, declined by an average of 63 per cent between 1970 and 2014. And their average rate of decline has increased since the species at risk law was enacted in 2002. • Delays in every step of the process. • Withholding of protection for some species, such as Atlantic cod or or West Coast chinook and sockeye salmon populations, due to economic interests.